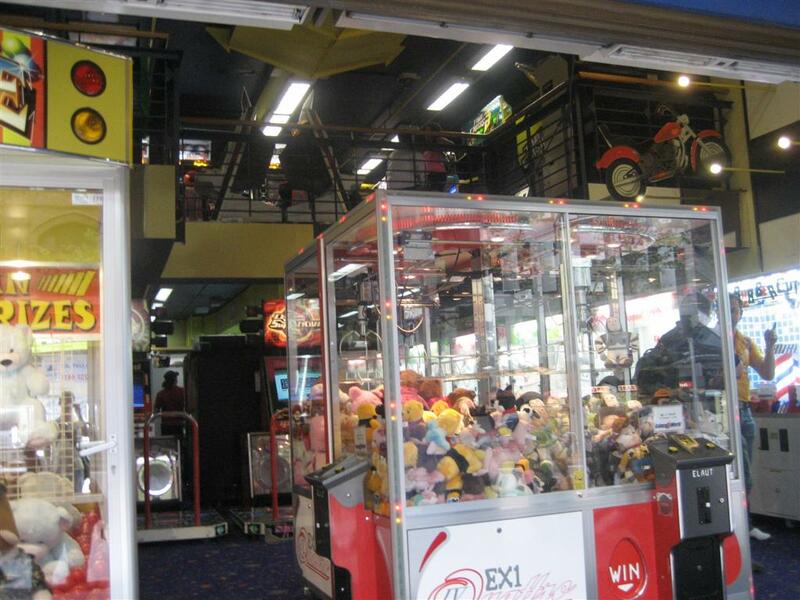 The second arcade I visited whilst I was in Australia, which was called Galaxy World, had a great selection of games. 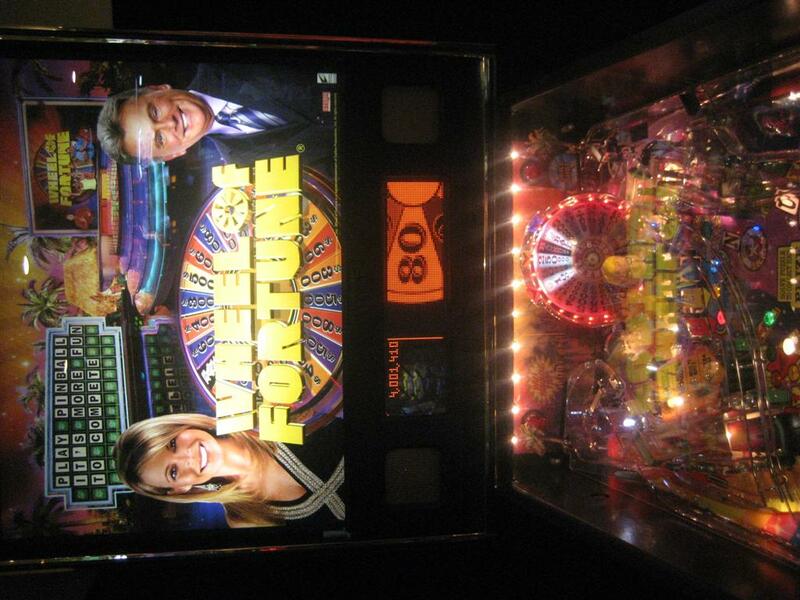 The most exciting for me had to be Stern Pinball’s Wheel of Fortune. This was the first time I had seen the game, or played it for that matter, and it did not fail to impress, I think I sunk about thirty bucks in to it during my stay. So what else was there to play? 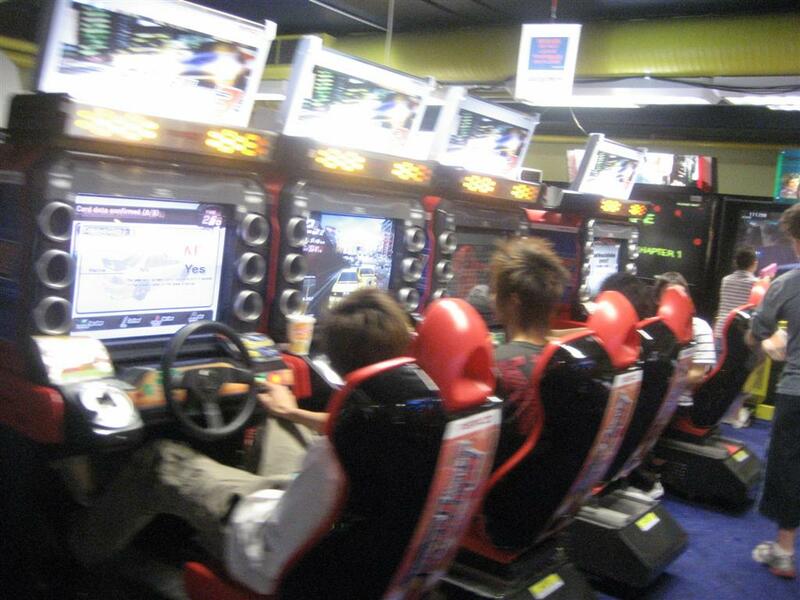 The arcade was split into two levels; the ground floor mainly populated with cranes, Stackers and the latest Bemani games and upstairs was crammed with racers, beat-em ups and shooters. 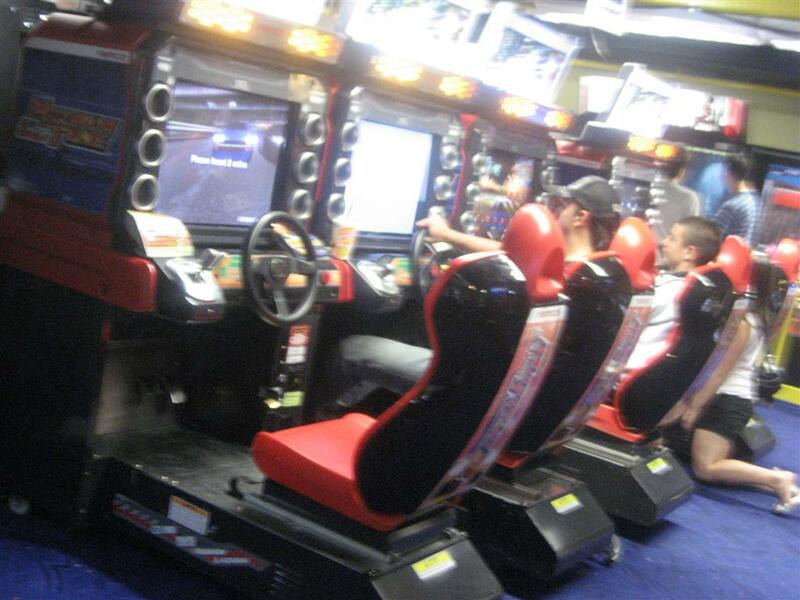 As you can see from the pictures there were newer games like Maximum Tune 3 as well as ones like the mid-nineties favourite Daytona. 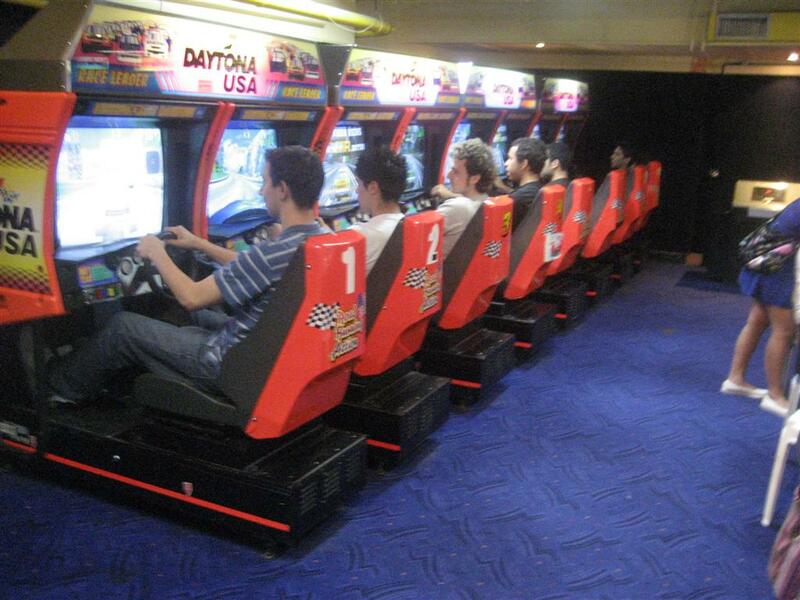 In fact they had two 8 player Daytona’s in this modestly large arcade. It never fails to impress me the lasting appeal of this game; all sixteen seats were constantly in play. It just shows it’s not all about graphics. As long as the game is fun people will keep on playing it year after year. 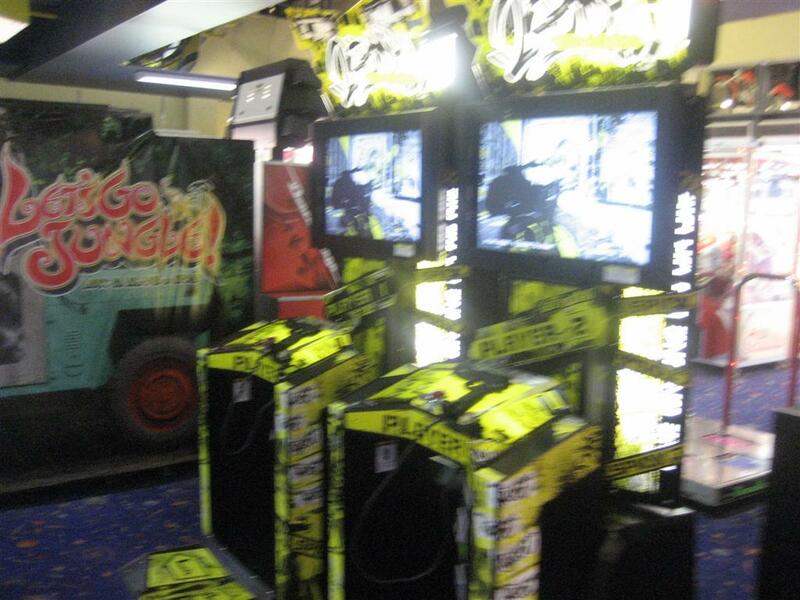 Moving on then and there was a superb collection of light gun game on offer. 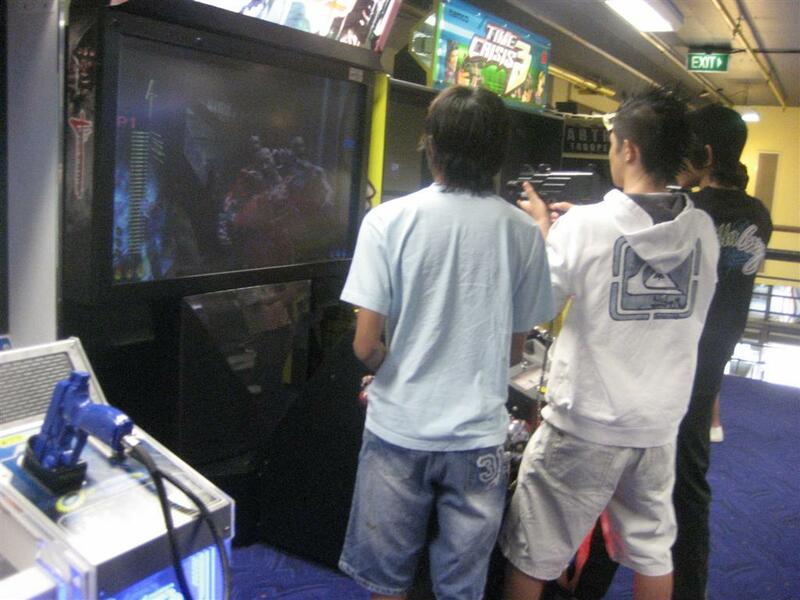 As you would expect there were classics like House of the Dead and Time Crisis, as well as Sega’s Let’s Go Jungle. 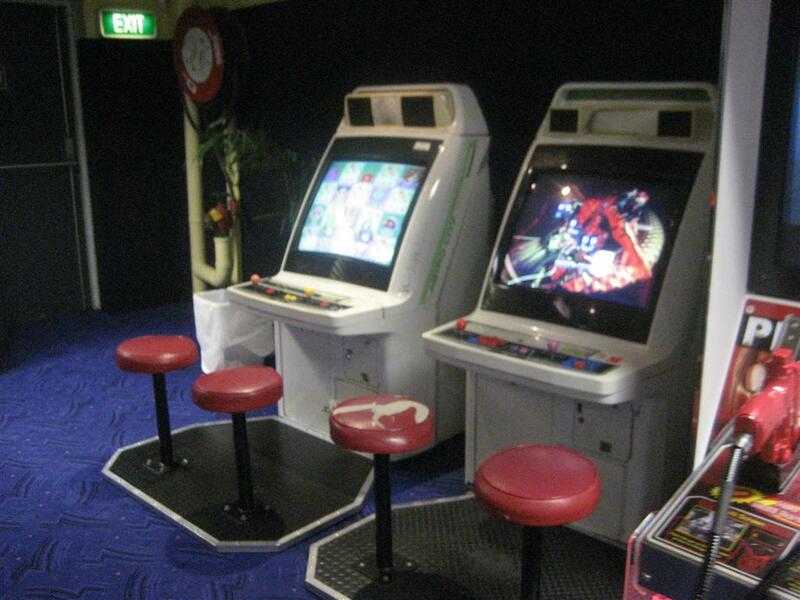 Lined up backed to back were around a dozen little sit down cabs that had games like Virtua Tennis & Tekken on. 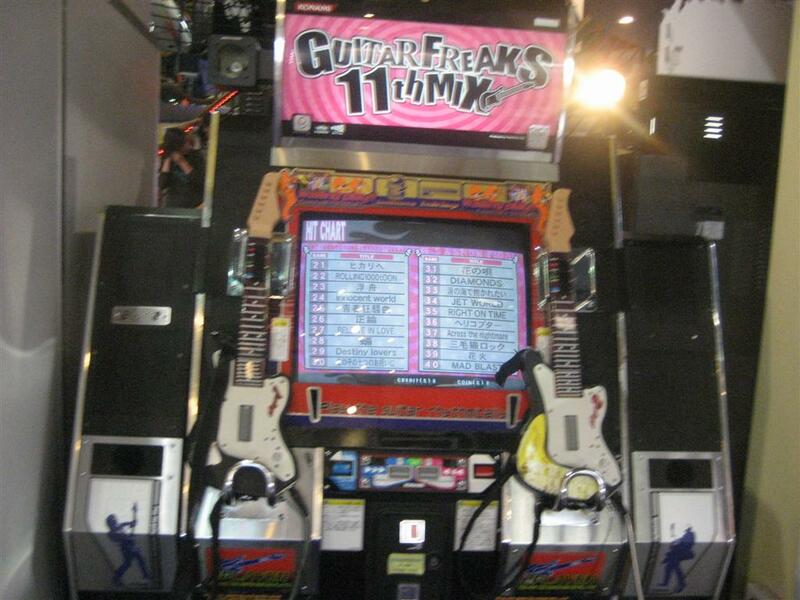 These were very popular and were constantly being played. 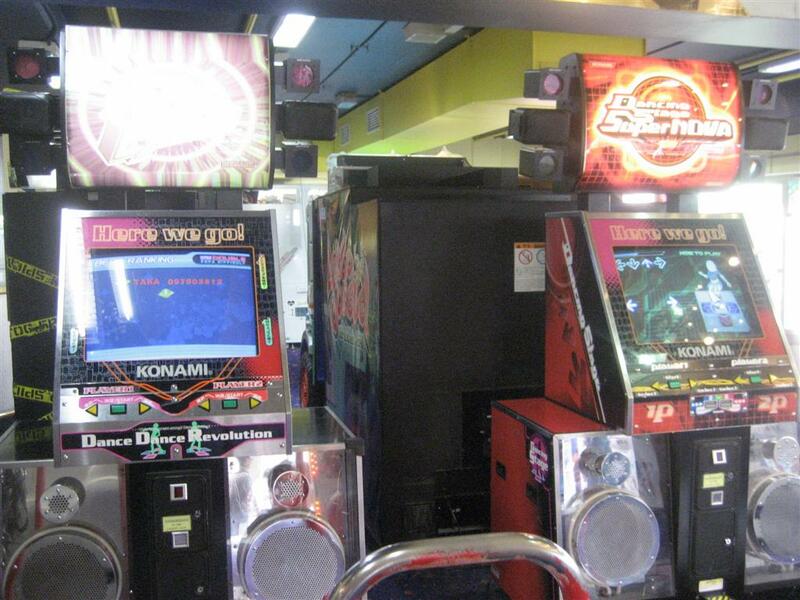 You may notice that I haven’t yet mentioned the condition of the cabinets in the arcade and that’s because everything was in fantastic condition. 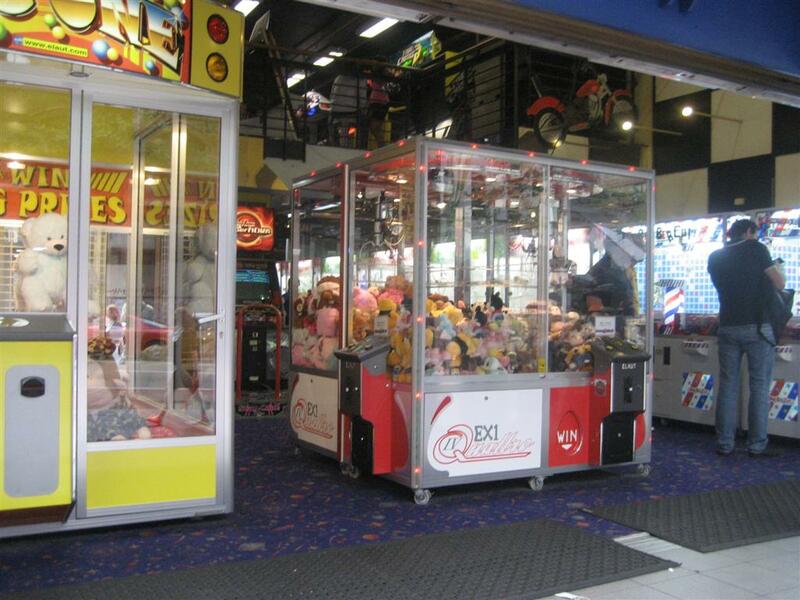 I would go as far to say this had to be one of the best arcades I’ve been to, and if you are ever lucky enough to visit this wonderful city you most definitely have to check out Galaxy World. It can be found at 614 George Street. this place looks awesome! 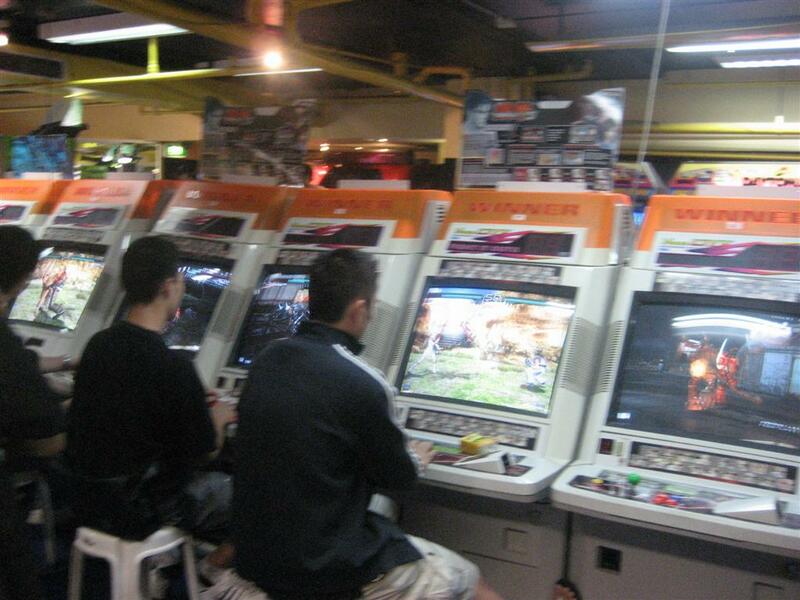 I would definently drop by if I ever went to the area there, it looks like they understand what needs to be done – bring in new games, have some older titles in stock and keep everything fixed. 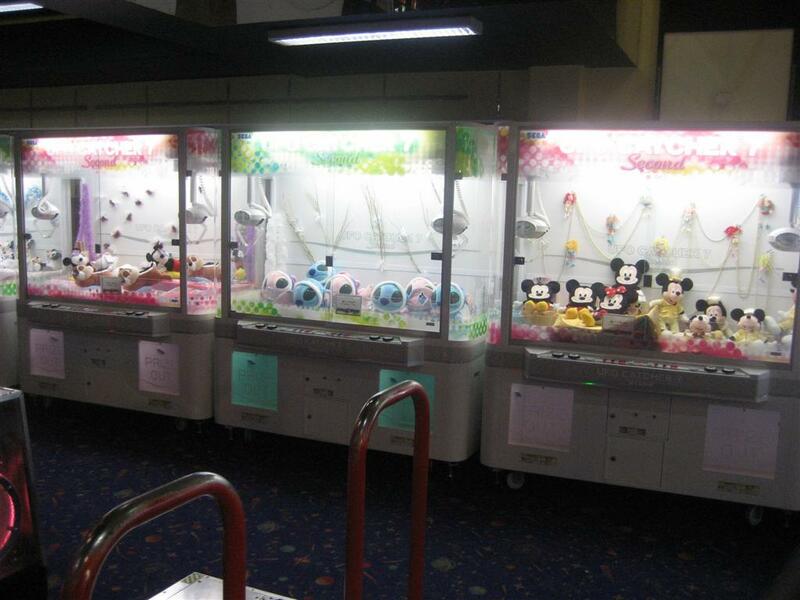 It looks like it’s a fairly popular place as well. 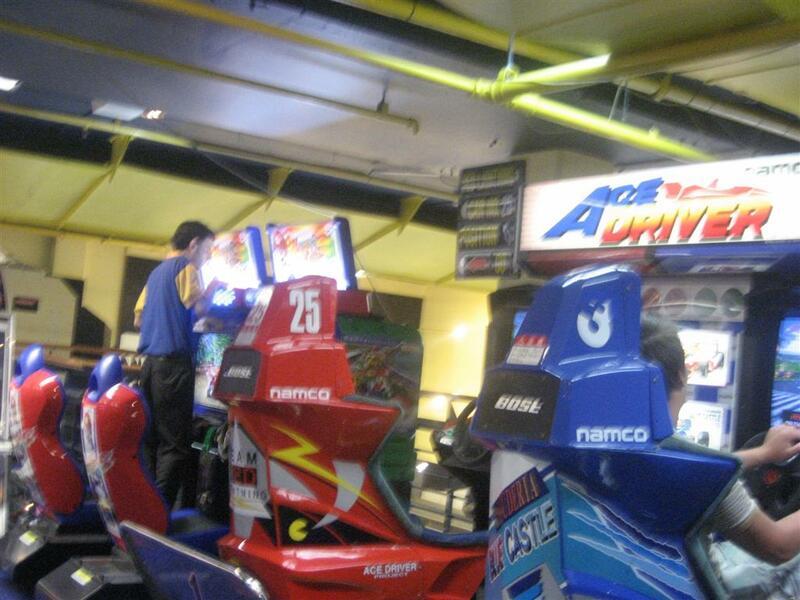 That looks like a good arcade, the ace driver was a nice find! 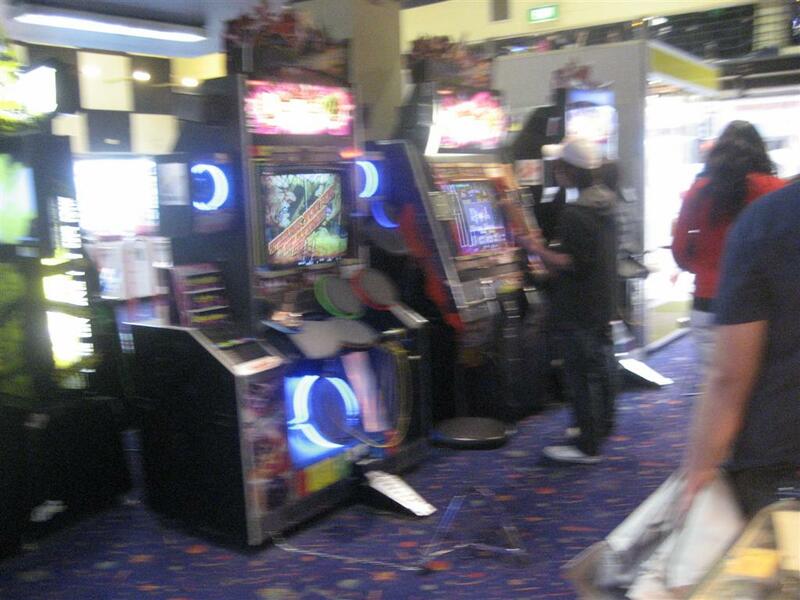 I basically live in this arcade, everyone is great and I know alot of the people that work here. 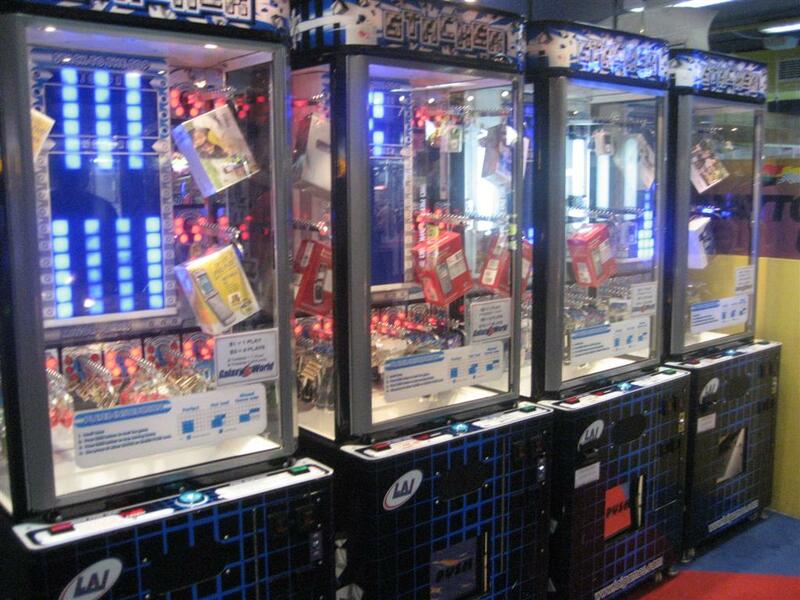 We have a code of etiquitte and everyone rotates between cabinets so there’s no cabinet hogging – this especially applies to the Maximum Tune machines. 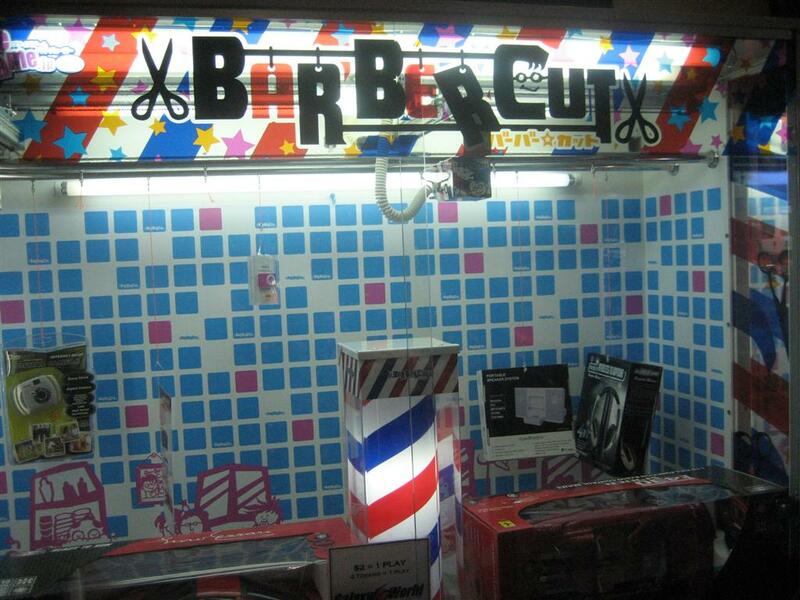 I can usually found on a Tekken 6 seat. Really recently as far as I know. Maybe a week, two weeks ago.